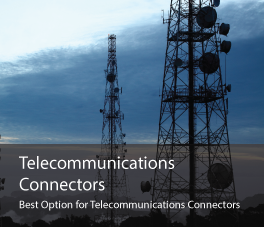 Your Best Option for Telecommunications Connectors! For more than 25 years, ASK has remained the go-to manufacturer and supplier for the telcom industry. Because we’re there for you when you need us the most – providing emergency storm stock, private labeling services, and engineering support no matter the size of your company. And because our selection can’t be beat, offering copper and aluminum lugs, splices, ground straps, and pin terminals perfect for any job. Have a specific item in mind? We have the right match. Not quite sure what you need? Download our 2,500-part catalog or visit our product configurator and eliminate guesswork. With in-house tooling and the widest lines available, we can meet your most demanding and custom telcom power and grounding needs. Call us today, and take advantage of the personal attention and singular commitment to your satisfaction that has made us the telecommunications industry leader for nearly three decades.